" Why do they not put signs up informing horse riders of this fact? And if they are going to charge us why not put in some more horse friendly tracks - and charge cyclists as well? I have given up riding on the roads due to the increasing number of accidents involving horses and the failure of most drivers to even slow down for horses. So I am now forced to take my horse out in a trailer and box to suitable riding areas unless I want to only ride in my field - or the field next to me where dog walkers have no control and often allow their dogs to chase or bark repeatedly at the horses. Yesterday I set out with my friend to find a new bridleway and we drove past some woods that we have ridden in a few times in the past. Wareham Woods, Dorset are not all that good as the paths are fairly hard but as we started to drive past I saw a sign 'cyclists and horse riders' and an arrow guiding the way. Perfect, we thought maybe they have opened up some of the land. We stopped the trailer in the car park and started to have our ride. The scenery was lovely but there was a never ending procession of cyclists and walkers and the paths were hard and stoney so we could only walk the horses. And the gates were impossible to open on horseback so we spent our time getting on and off. We then saw two vans approaching us on the path and a guy got out and asked us for our permits. He then went on to explain we need a £50 permit to ride there as it is forestry commission land. He said people have been prosecuted in the past. I told him we had no idea and I asked why they didn't put some sort if signage up saying this - he said he thought it was just common knowledge that you need a permit to ride in forestry commission land. 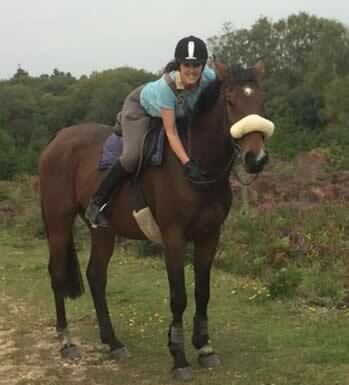 I have owned horses for 45 years - competed to a reasonable level, belonged to several hunts and riding clubs and I had no idea! 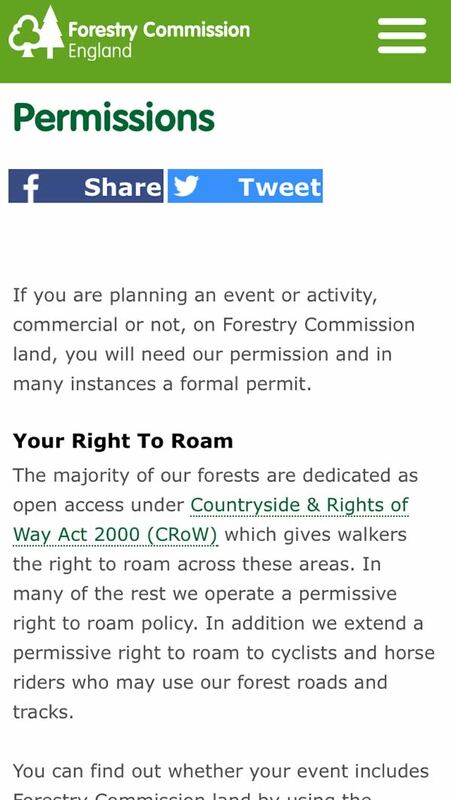 Why do the forestry commission 'assume' all horse riders are aware of this? Why do they not put signs up informing horse riders of this fact? And if they are going to charge us why not put in some more horse friendly tracks - and charge cyclists as well? It seems to me they charge horse riders and then spend thousands on creating cycle paths because they are certainly no good for horses. Why not provide some good footing for horses. I feel very upset that we have now lost another one of our ever decreasing spaces to ride. There are some better forestry commission woods nearby that I sometimes ride in that will also be out of bounds unless we put our hands in our pockets...... But I suppose it's ok because after all ...... Horse riders are rich.... Right!!!!! !